Topics to be covered: Scene Safety; Definitions / Terms; Atomic Theory and Electricity; Ohm’s Law / Joules’ Law; Magnetism; AC vs. DC; Transformers; Three Phase Power; Branch Circuits; Service Entrance; Meter Usage; Circuit Breakers; Wiring;Measuring Voltage & Current; Electrical Failure; Evidence Collection; Scene Processing; Electrical Heating; Arcing Through Char & Melting; Examination Hints; Myth Avoidance; Arc Mapping; Open Neutral Failure; Intrusion Alarm and Surveillance Systems;Electrical Examinations; and Case Studies. 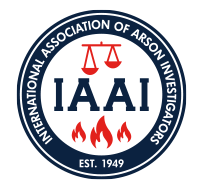 All attendees MUST be able to access the IAAI drop box for student materials, prior to class. Please bring a laptop to class. Class starts promptly at 8AM.